If you are suffering from cataracts or presbyopia (age-related farsightedness), monofocal intraocular lenses (IOLs) can help you see objects at one distance more clearly. Dr. Sonny Goel offers monofocal intraocular lenses at his Baltimore, MD-area offices. A monofocal intraocular lens can provide clear vision at a single distance only, yet many patients easily adapt by wearing glasses. Dr. Goel can easily place these lenses to restore focus following cataract surgery, or to improve close vision. A monofocal IOL is an artificial lens that replaces a cataract-clouded lens, or a lens that has become inflexible due to presbyopia. As the name suggests, a monofocal IOL provides clear vision at a single distance—near, mid-range, or far. Dr. Goel will help you determine which option will provide you with optimal vision. A monofocal intraocular lens can provide clear vision at a single distance only, yet many patients easily adapt by wearing glasses. Another popular choice for many patients is to receive a monofocal IOL for distance inserted into one eye and one for near vision in the other eye. This is known as monovision, and it can reduce your need for reading glasses. With monovision, the brain learns to adjust to the two separate focal distances, resulting in improved vision at most ranges. If you are unsure if monovision is right for you, Dr. Goel can provide you with two contact lenses of different strengths so you can preview the results before committing to surgery. Monofocal IOLs are a popular treatment option for patients with cataracts. When cataracts form on the crystalline lens, vision becomes clouded and blurry. 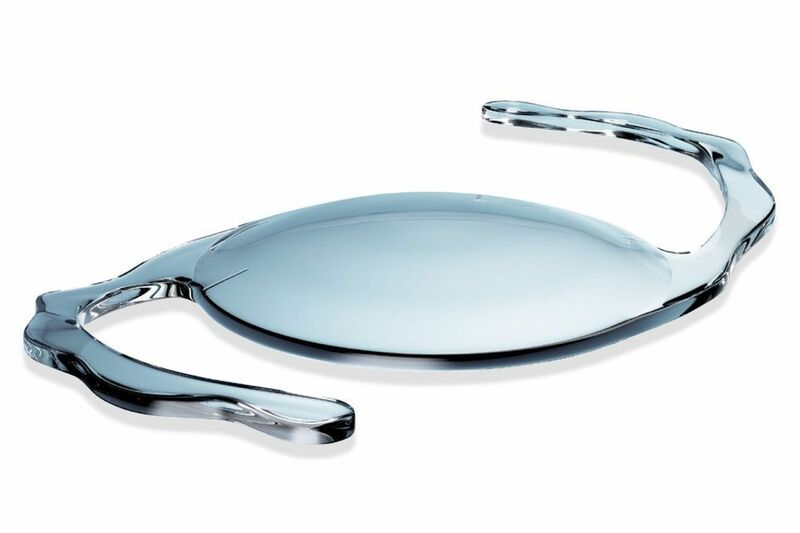 During surgery, the lens is replaced with a monofocal IOL to restore clarity as well as focus at one distance. Monofocal IOLs can also benefit presbyopic patients. As we age, the natural lens in our eyes becomes stiff and inflexible. This results in farsightedness, or an inability to clearly view up-close objects. The condition can begin to develop as early as age 40. If you notice you have difficulty viewing restaurant menus or reading books or magazines, you may have presbyopia. While many treat presbyopia with reading glasses, others may desire to reduce their dependence on glasses. In either case, good candidates are those who understand that monofocal IOLs are not likely to eliminate your need for glasses altogether. Even for patients who opt for monovision, glasses may still be necessary at some point in time to provide clear vision. If you would prefer to minimize or eliminate your need for corrective eyewear, you may be a better candidate for multifocal IOLs. Whether you are suffering from cataracts or presbyopia, Dr. Goel can help you find a vision correction solution that works for you. Contact us today to schedule your initial consultation with Dr. Goel. He will carefully evaluate vision to make a personalized recommendation that meets your needs.